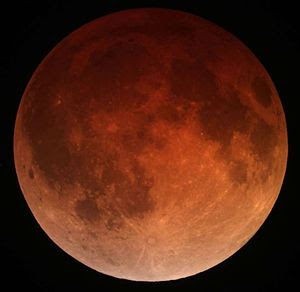 The Astronomical Society of East Texas in conjunction with the Mineola Nature Preserve, will host a Total Lunar Eclipse viewing at the Nature Preserve on the evening of the 20th of January 2019. The Moon will move into Earth's shadow causing the Moon to look darker and eventually reddish (Blood Moon) before moving out of the shadow. The eclipse begins at 8:36pm , it will totally eclipse the Moon at 11:11pm and will be over at 1:48am Monday morning. The Moon will be at it's closest to the Earth during eclipse, so it will also be a Super Moon. Try to arrive by 8pm so viewing will not be interrupted by car lights. Please park on the West side parking because viewers will be in the East parking area. This is a weather impacted event. Should be skies be cloudy or rain, the event will be cancelled. For more information, see the Society website: www.asetexas.org or our Facebook page or text to 903-520-7338. And if you are familiar with the Preserve, the coyotes will be probably be howling at the Eclipse!